As a citizen, I wish that the convictions handed down on Thursday in the Southern District of New York’s federal court shocked me. They didn’t. I’ve seen too much during the 29 years that I’ve been an observer of development-related government decision-making. Zoning, land use, and construction decisions are made at what I view as the intersection of politics and greed. It’s an unattractive and discouraging place to be if you believe that citizens deserve both an open and fair process, and government officials who truly strive to function lawfully and in a manner intended to benefit society as a whole. I feel saddened, not vindicated, by the convictions. What is most troubling is a realization that the Lou Ciminellis of this world—and the compliant government officials with whom they interact—may truly believe that they’ve done nothing wrong. After all, that’s how the system has always worked. I have no profound recommendations. There are no magic wands to wave. We must intelligently exercise our right to vote, and select honest and courageous representatives. But we human beings are flawed. Self-interest—whether it’s the developer’s greed or the politician’s desire for power—will always be a motivating force when choices are being made. The integrity of the decision-making process—the how and why decisions are being made—is of equal, if not greater, importance than the outcomes of those determinations. Now the proffered spelling option seems like more than just a quirky coincidence. There actually is an official, tangible connection between Ciminelli and illegal, unlawful, or illegitimate activity. News of the conspiracy and wire fraud convictions has not only been splashed across the front page of the Buffalo News. Thanks to the elephant-in-the-room throughout the month-long trial—Andrew Cuomo—interest in the story has far exceeded the boundaries of Mr. Ciminelli’s hometown. What caught my eye were the words Paul Shechtman, Louis P. Ciminelli’s attorney. While we may have crossed paths in Cambridge, Massachusetts in the mid-1970s while attending Harvard Law School, I don’t know Mr. Shechtman. He certainly has had an impressive legal career. And his political connections run deep, including appointments by former New York Governor George Pataki as chair of New York State’s Ethics Commission and Commission on Lobbying. Lou Ciminelli’s high-priced New York City attorney appears to be feeling the same way that I have felt all too often while representing common folk in Western New York who dare to question the wisdom of a proposed development project. I have repeatedly experienced deep disappointment in my chosen career. Whether it was a city or town’s legislative body, a highly respected member of Congress, my own city councilmember, or a state Supreme Court judge. I have found it difficult to fathom how government officials could honestly view things so differently than my clients and I. A longtime critic of both Ciminelli and Cuomo praised the jury’s verdicts. The hypocrisy—or self-deception—evident in dear Carl’s comment is mind-boggling. As I posted more than four years ago—following a “New Urbanism” conference held in Buffalo—the relationship between Mr. Paladino and Mayor Brown is precisely why Buffalo’s residents should not expect any major change in the way local officials choose one project or neighborhood over another. 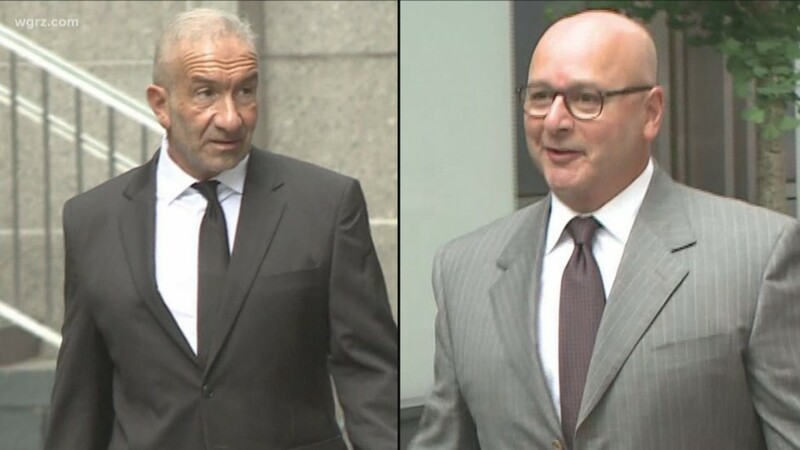 … [A]t the trial, the prosecution presented evidence that Dr. Kaloyeros and Todd R. Howe, a former lobbyist with ties to Mr. Cuomo, conspired to defraud Fort Schuyler Management Corporation, a nonprofit real estate arm of SUNY Polytechnic, by steering lucrative contracts to two firms whose executives were significant donors to Mr. Cuomo’s campaign. LPCiminelli, for example, received a contract to build what became a $750 million solar-panel plant on the banks of the Buffalo River, while COR received contracts worth more than $100 million for other projects. Both firms were clients of Mr. Howe’s. I’ve observed an unsettling correlation between major contributions to Andrew Cuomo and receipt of an “environmental free pass”—that is, approval of major construction projects without the time and expense of an Environmental Impact Statement (which is the most effective tool the public has to influence development-related decisions). The Jacobs family, the Pegulas, and Queen City Landing’s Gerry Buchheit all appear to have benefited from this significant perq. But, the Green Code mysteriously ends the boundary of the Outer Harbor Review Area at the southern property line of the Terminal “A” and “B” parcel. That means that the Queen City Landing parcel—adjacent to the terminal complex—is not burdened with the restrictions that apply to land included in the Outer Harbor Review Area. Arthur J. Giacalone has been living, practicing law, and challenging authority in Western New York for four decades, and currently resides in the City of Buffalo’s Cazenovia Park neighborhood. He write about all these things at his blog, With All Due Respect.